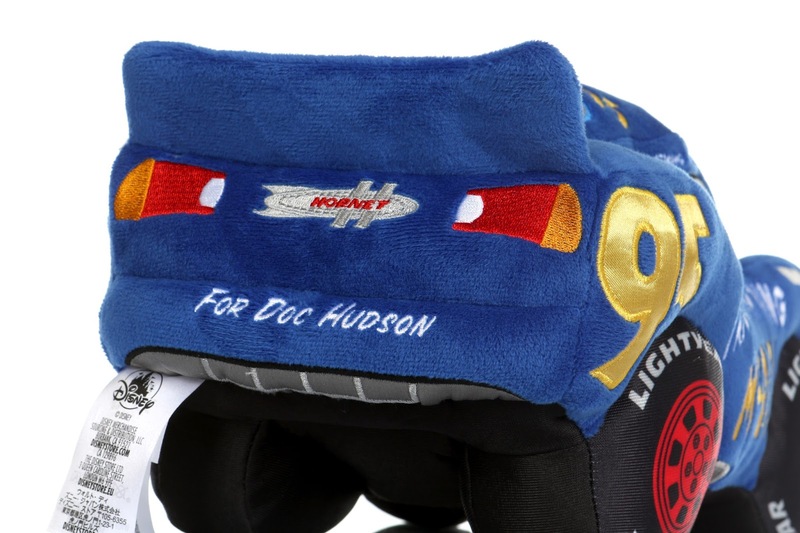 It's hard to mention a spoiler alert here since the products themselves can be considered spoilers for Cars 3, but if you haven't seen the film and can look away fast enough, look away now! 🙃 These characters in these paint jobs are just about everywhere at this point though (heck Dinoco Cruz has been at the forefront of the marketing for months), so chances are you've seen them on store shelves even if you haven't caught the flick. 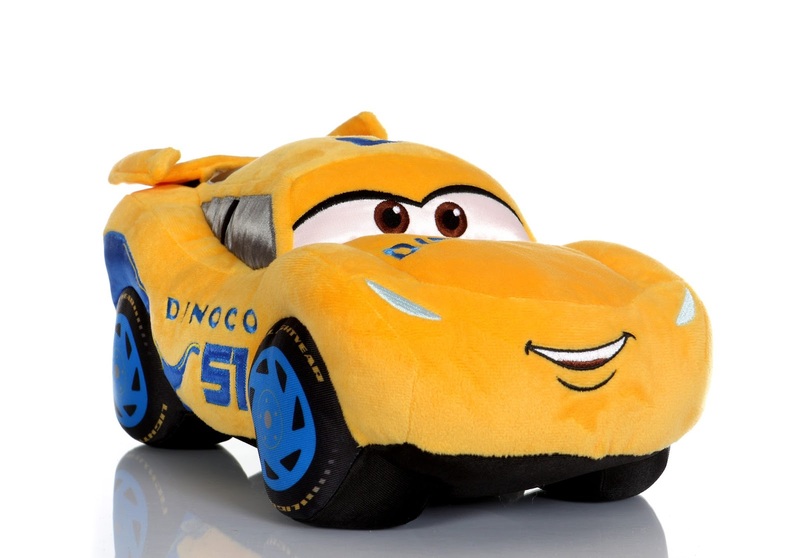 And if you haven't seen Cars 3 at this point, what are you doing?? Go see it now! It's absolutely fantastic. 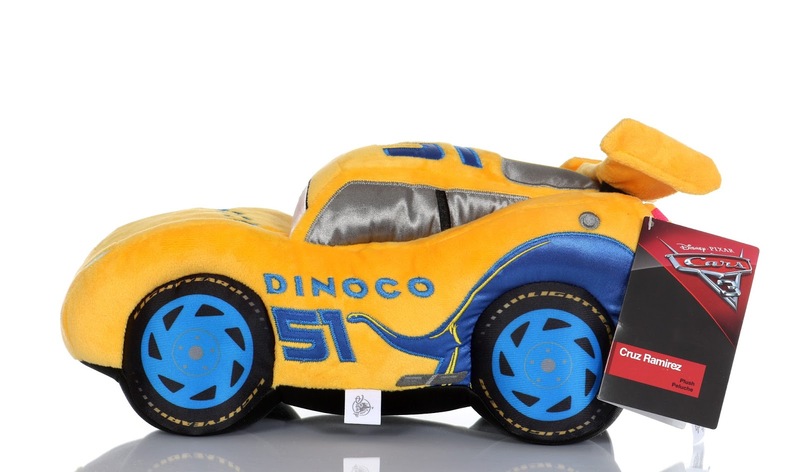 When the Cars 3 merch was released at the Disney Store this past April, I was kind of disappointed there weren't any plush toys included in the lineup. I always look forward to those with each new Pixar film. Well, if you were kind of let down like I was, never fear. 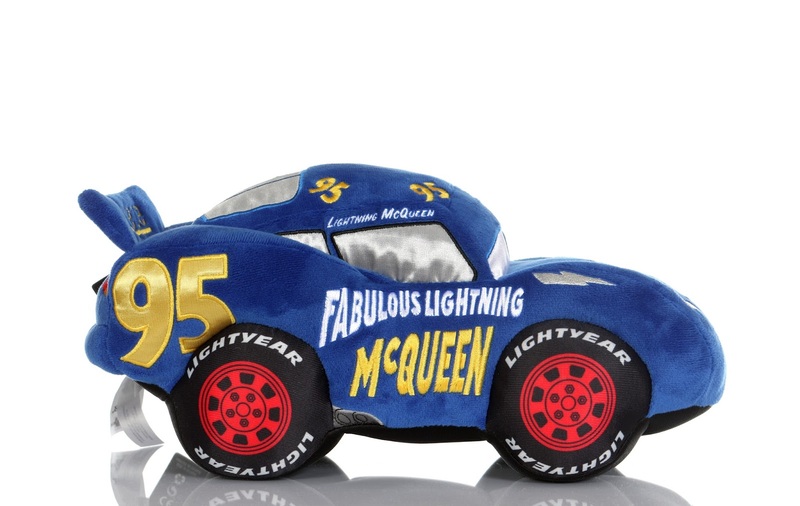 The Disney Store finally just released two Cars 3 medium core plush toys: Fabulous Lightning McQueen and Dinoco Cruz Ramirez—both straight from the film's awesome epilogue! 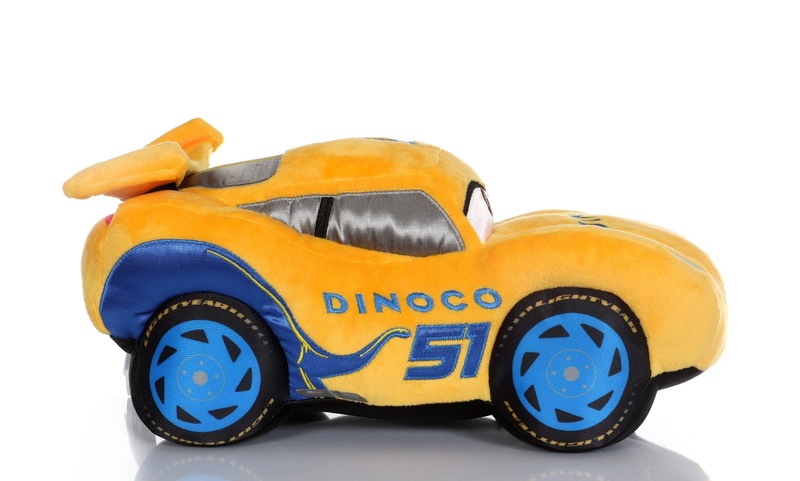 These hit the Disney Store on June 16th, the same day the film arrived in theaters. They were held off for obvious reasons, but as soon as the film was officially out, all bets were off! They didn't waste any time. The first thing that stood out to me when I saw these in person was the size. They're pretty big, measuring in at about 13 1/2" long and 7" tall. 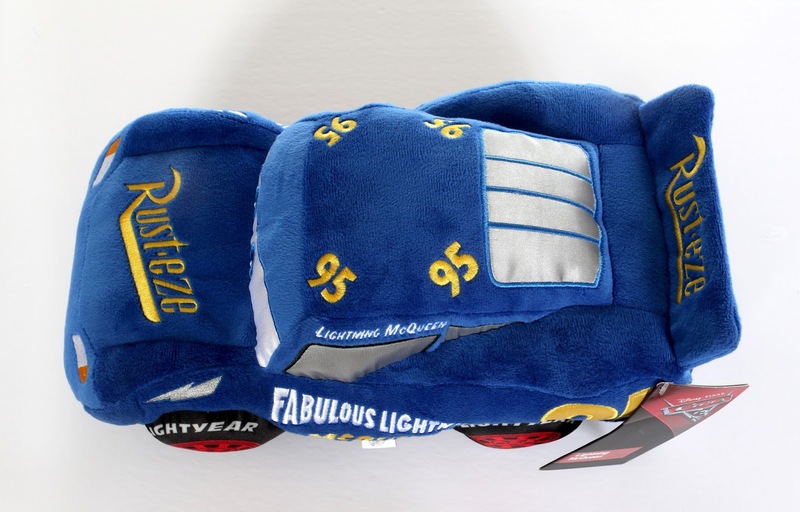 They feel super sturdy, have exceptional stitching (love the shiny thread used for the numbers, windows and sponsor logos) and really nice embroidered features. 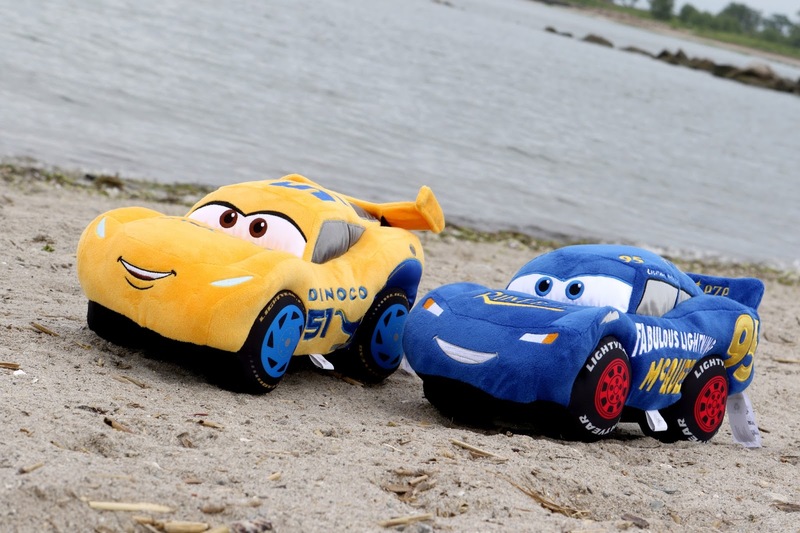 The level of detail achieved with both of these plush is just outstanding. They're likenesses and expressions are spot on, with just the right amount of stylized "chubiness." Not to mention they're soft and cuddly like a good plush should be! Interestingly, and just a side note here, the typical "Disney Store Genuine Authentic Original" patch is not included on the bottom of either of these. As soon as I saw the film, I loved both of these designs—so I'm thrilled to have them in plush form! Could more be on the way? I feel like Jackson Storm is an absolute must. 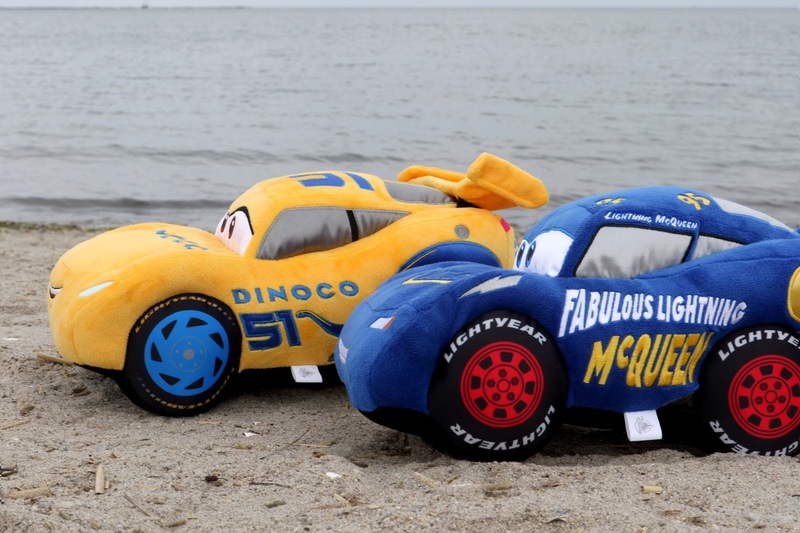 Who would you like to see if they made a couple more medium core Cars 3 plush? Note: there were medium plush Tsum Tsums released of Mack and Miss Fritter last month, which you can check out in my post HERE. Retail for each of these is $19.95; HOWEVER, I grabbed these a couple days ago for a great deal/price. 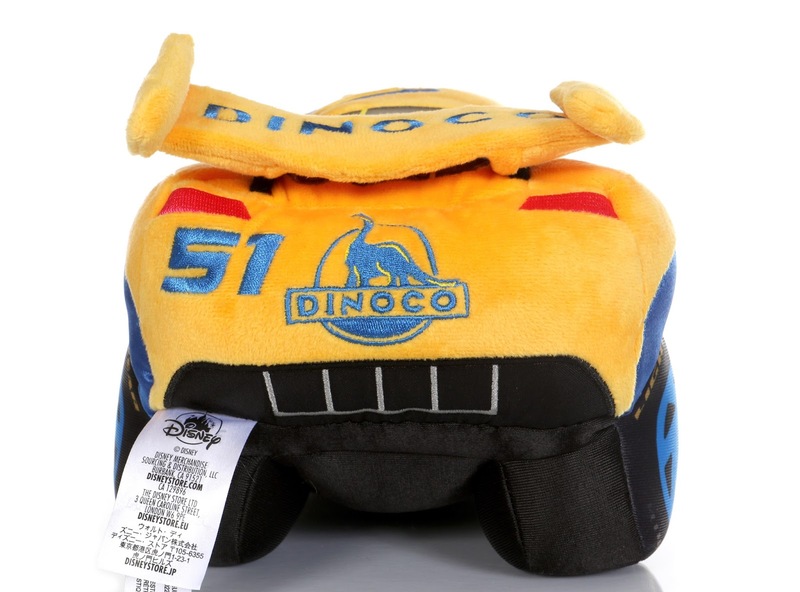 Currently, when you buy two or more medium core plush, they go down to $16 each. Be sure to act soon so you don't miss out on the sale! 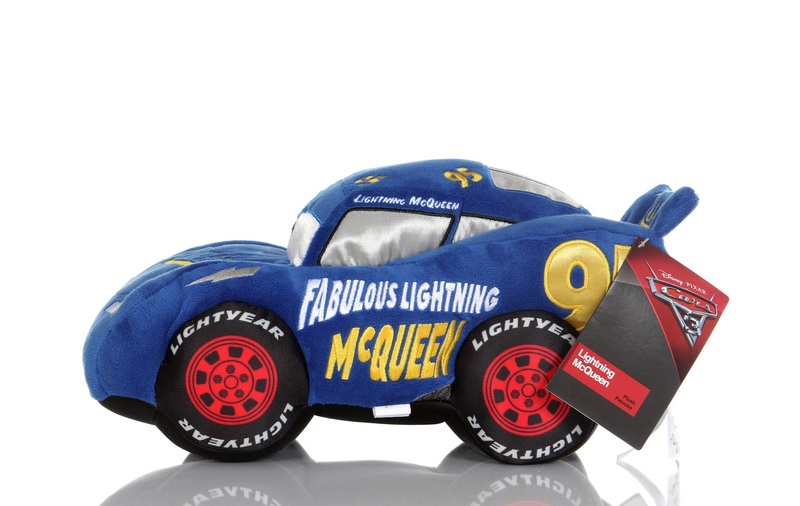 If you don't have a local Disney Store, be sure to pick them up on the website (HERE for Lightning—HERE for Cruz). 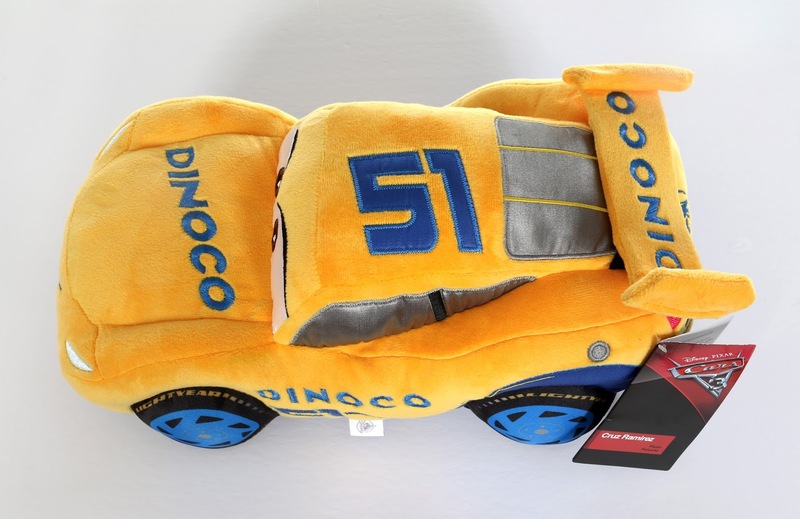 Let me know your thoughts on these plush in the comments below! 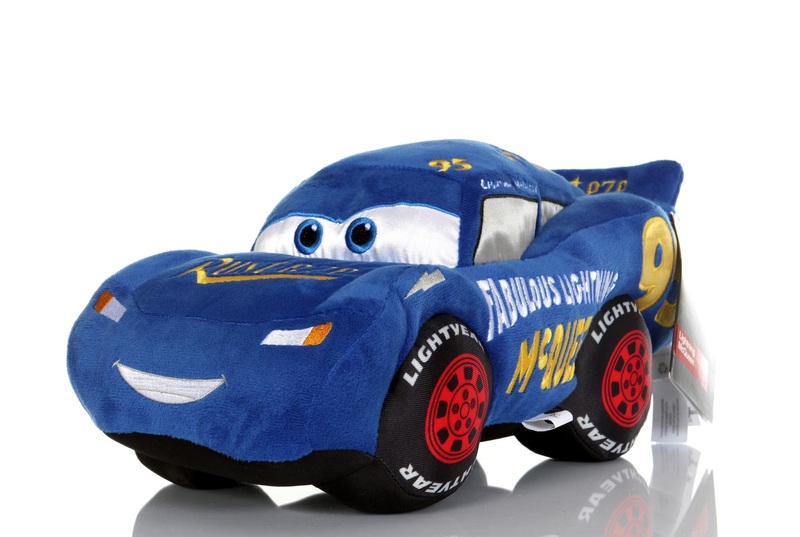 What do you think of "Blue Lightning McQueen" (as me and my nephew call him)?